A blog mostly about Exchange related stuff. Most Exchange admins probably know (or should know ) the permission model since Exchange 2010 is Role Based Access Control, RBAC for short. With it, you can regulate quite granularly what admins and end-user are able to do, without the hassles of Access Control Lists (ACLs). However, it recently became clear that it might be more granular than you think. You can allow only certain types of PowerShell Cmdlets, have only change rights on a certain Organizational Unit (OU)or types of users etc. etc. But did you know you can also control access to certain parameters of Cmdlets instead of allowing or blocking a whole Cmdlet? Consider the scenario that you want to give a certain servicedesk employee rights to edit mailboxes with Set-Mailbox, but for whatever reason you don’t want them to edit quota settings? I will be speaking at IT/Dev Connections 2018! 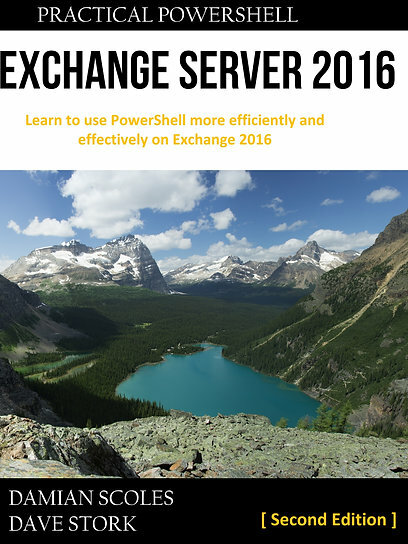 Exchange Server 2019 Preview is available! I will be speaking at ExpertsLive NL 2018!